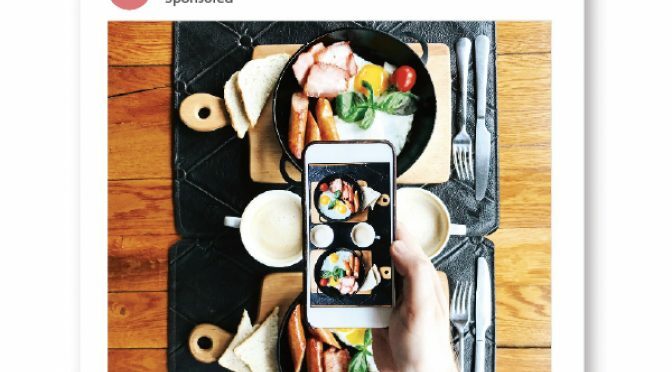 Does anyone think your food shots are a total nightmare? Usually one receives more tepid pressers: so-and-so has won some award that no one has heard of; such-and-such organisation has opened yet another retail outlet of a shop that, frankly, no one is any worse of not visiting; some self-aggrandising MD of a company wants to be interviewed because he thinks his achievements are extraordinary, and so on. So, this ‘nightmare for chefs’ release seemed refreshingly blunt. Plus, self plug alert: I’ve met and written about Chef Uwe before and I know him to be a straight shooter. Chef Micheel explained, “Chefs, today, have to focus on taste as well as aesthetics for Instagram. But, to be honest, it is a nightmare because people have to put their food on social media before tasting it. Diners spend a lot of time clicking that perfect picture during which time the food is sitting there getting cold”. It’s easy to understand a chef growing irked when diners prioritise settings and camera angles to get the right shot of, say, the hazelnut gnocchi with a sage glaze, over the actual tasting of the gnocchi. For another perspective, I spoke to Dubai-based Chef Lambert Chiang. He’s on Instagram — “not as active as I should be” — posting pics of asparagus wrapped in pancetta, and slow-cooked octopus with fennel salad. Does he believe it’s damaging for a chef’s career to not be on Instagram? “I wouldn’t say damaging,” he said. “A lot of well-known chefs are not on Instagram because they choose to be with themselves”. Chiang told me he’s inspired by chefs like @akmal_anuar, and @davidchang, but that he follows other chef ‘grammers out of politeness. But then the ‘You scratch my back, I’ll follow you back’ infects not just the world of food. Although, haven’t you ever unfollowed or muted chefs or foodies or food bloggers because there’s just too much food on your timeline? If food is your only interest, it’s fine, I guess. Also acceptable for food professionals — if a bit blinkered. But as a lay person scroller, it’s troublesome to be inundated with a disproportionately large number of food images. The non-food part of my feed won’t stand a chance! All those Live stories, the posh desserts, the too-green smoothies; it is, you might say, a nightmare. I’m more for a diverse stream of updates that cater to disparate curiosities. Recently, on a a page called mushroomguerrilla, I saw an incredible picture of indigo milk cap shrooms. #MycologyIgnorance! I can’t call myself a foodie ( dislike the word too) but when a tempting plate is in front of me, I take a shot on the phone for memory’s sake. No uploading my mediocre images though. I fear it would make me uninteresting, not to mention, unbearable. On Instagram, I do follow chefs out of a general interest in the culinary world. Most of whom I follow I have traced a breadcrumb trail to reach, or have enjoyed from Chef’s Table. Instagram doesn’t have a foodie folder where you can club your feeds topic wise (how I miss Google Reader!). But if it did, I’d bung into it: Francis Mallmann, Grant Achatz, Massimo Botura, Yotam Ottolenghi. Also, the passionate home cooks, bloggers, some ‘influencers’ whose philosophies of nutrition I am taken in by: Tejal Rao, Dorie Greenspan, David Lebovitz, Sheil Shukla, Srujan Desai, Roopa Gulati, Danish Foodstylist. And mixing it up is beneficial to mental health. So for every new food person followed, I recommend unfollowing an old one — to keep your feed from turning unappetisingly one-dimensional. Organising queen Marie Kondo might approve. Maybe even Chef Uwe would.